The Gunfight at the O.K. 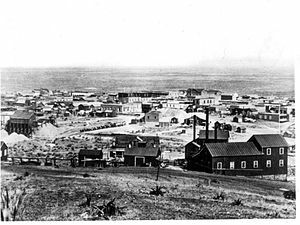 Corral was a 30-second shootout between lawmen and members of a loosely organized group of outlaws called the Cowboys that took place at about 3:00 p.m. on Wednesday, October 26, 1881 in Tombstone, Arizona Territory. It is generally regarded as the most famous shootout in the history of the American Wild West. 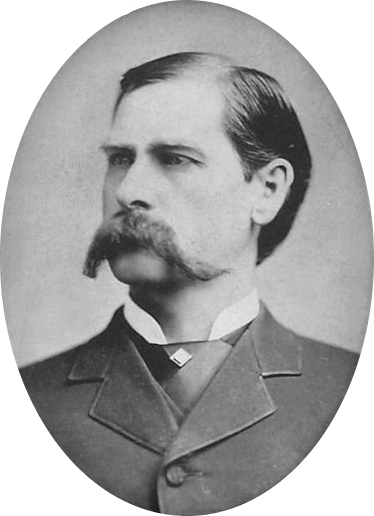 The gunfight was the result of a long-simmering feud, with Cowboys Billy Claiborne, Ike and Billy Clanton, and Tom and Frank McLaury on one side and town Marshal Virgil Earp, Special Policeman Morgan Earp, Special Policeman Wyatt Earp, and temporary policeman Doc Holliday on the other side. All three Earp brothers had been the target of repeated death threats made by the Cowboys, who objected to the Earps' interference in their illegal activities. Billy Clanton and both McLaury brothers were killed. Ike Clanton claimed that he was unarmed and ran from the fight, along with Billy Claiborne. Virgil, Morgan, and Doc Holliday were wounded, but Wyatt Earp was unharmed. The shootout has come to represent a period of the American Old West when the frontier was virtually an open range for outlaws, largely unopposed by law enforcement officers who were spread thin over vast territories.